CBC's political analyst Graham Thomson sounds off on the province's decision to temporarily restrict oil production. Well, that was relatively painless. After weeks of struggling with "one of the toughest decisions we will make as a province," Premier Rachel Notley made the decision look easy. She announced Sunday evening her government will force a year-long cut in Alberta's oil production, starting Jan. 1. Of course, the decision wasn't easy. But it was made easier by some important political support. Any government that dares cut oil production in Alberta is in danger of cutting its own throat. But crucially for Notley, she had the support of staunch free-enterpriser Jason Kenney, leader of the Official Opposition United Conservative Party. He had been calling on Notley to curtail production by 10 per cent. She's cutting by 8.7 per cent. Notley had some oil producers pleading with her to mandate a reduction, while others were just as adamant she leave the system alone. But she had to act. Leaving things to the invisible hand of the market place would have likely seen some oil producers lay off more workers, or worse. So Notley has very intentionally stuck her fist into the market. She called a news conference for 6 o'clock sharp Sunday evening so supper hour newscasts (yes, they're still a thing) could carry her address live. Watch: Notley announces the decision to temporarily reduce oil production. 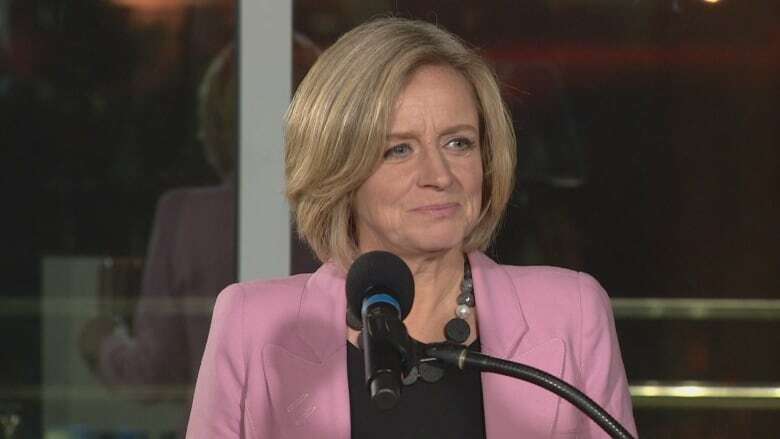 "I am joining you tonight as your premier and fellow Albertan to talk about an issue that is critical to our province and country," began Notley in a speech so somber you half expected her to announce Alberta was going to war. "Owing to decades of failure and inaction by successive federal governments, Albertans are unable to transport much of the oil we produce to market through modern, well-regulated pipelines. As a result, we must sell our oil at a discounted price." The "price differential" means Alberta's landlocked oil has sold for a steep discount compared with global prices. Yes, some energy companies — those, for example, that are happy to buy cheap oil for their upgraders and refineries — want prices to remain low. But those that simply produce oil are being gutted by the low price. Notley is hoping that by forcing a reduction of 325,000 barrels a day, Alberta companies will see an increase of about $4 per barrel. Not exactly a bonanza, but Notley expects this will help oil producers and will also mean about $1.1 billion in extra royalties for the Alberta government treasury in the 2019-20 fiscal year. That goes to the crux of Notley's argument: the oil belongs to Albertans, she pointed out, not to the oil companies. "We have a duty to defend those resources," she said. Interestingly, Kenney made much the same argument. 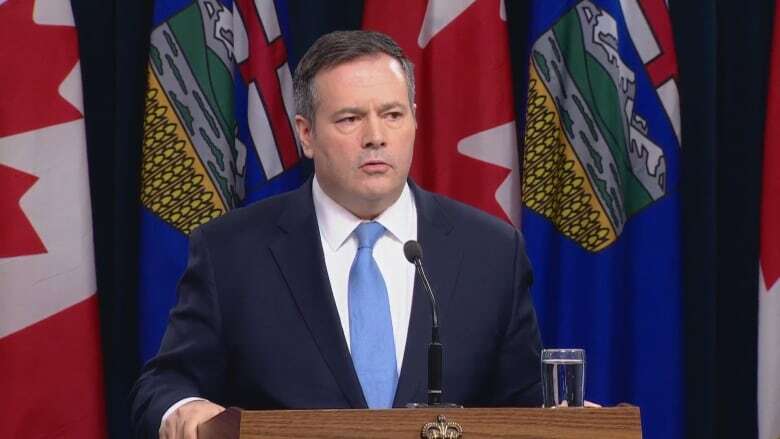 "If this was simply oil companies selling their property, I don't think I would see a rationale to support that mandatory curtailment," Kenney said after Notley's address. "But they're not selling their property, they're selling our property. The oil belongs to Albertans and the owners have a legitimate interest to ensure they get some value for their asset. "Right now, it's being given away. I would put it to some Conservatives, if you believe in property rights, then we have a right to protect the public property of our oil." Kenney might applaud Notley's actions, but he's not about to cross the floor to the NDP. He blames Prime Minister Justin Trudeau in whole, and Notley in part, for not getting any new pipelines built to tidewater ports so we can get more Alberta oil to Asia (and receive world prices). Of course, he was part of the Stephen Harper Conservative government that got no new pipelines built to tidewater — but that's another column. Notley is also receiving support from Alberta Party Leader Stephen Mandel. But he too has his own criticisms, saying Notley should have acted months ago. Sunday evening, some energy companies continued to be critical of the oil curtailment, warning Notley vaguely of "unintended consequences." That no doubt worries her. But she doesn't have to worry about being attacked politically after making "one of the toughest decisions" of her career. It might have been a tough decision, but it was made much easier thanks to her political enemies.